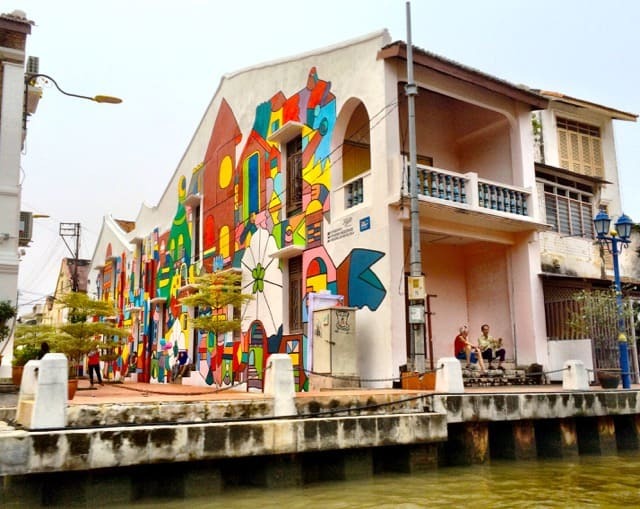 Photos of Melaka, Malaysia - things to do and see in Melaka. The majestic Chee Mansion in Heeren Street. Melaka (or ‘Malacca’) is the oldest town in Malaysia and one of the country’s major historic attractions. Melaka (map) can trace its roots back to the 15th century when it was founded by a prince from Temasek (present day Singapore). The settlement grew very quickly due to its favourable geographic location at one of the world’s most important shipping lanes: the Straits of Malacca, which connects the Far East with India, the Middle East, Africa and Europe. 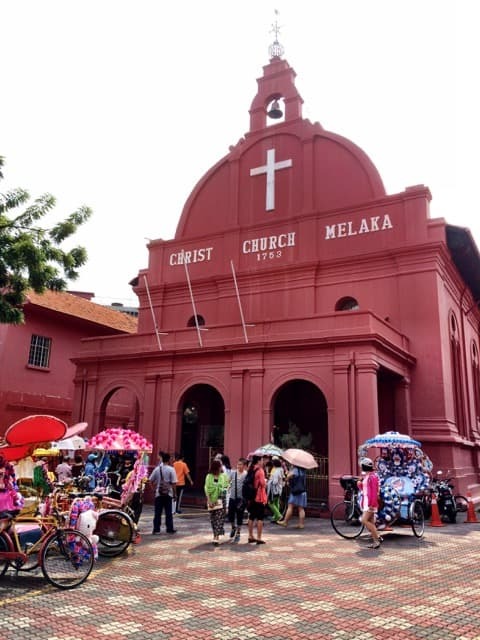 Melaka is a great day trip from Kuala Lumpur or Singapore but I recommend spending a few days there to truly appreciate its history, culture and atmosphere. Scroll down to view my Melaka photos with suggestions for things to do, see and eat in Melaka. 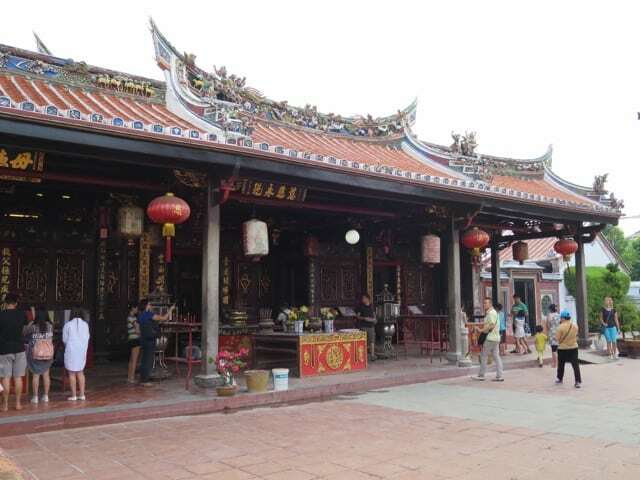 …Malacca was second only to Venice in global trade in the 15th century. The port was regularly dominated by the cacophonies of hundreds of busy merchants who conversed in more than 50 different languages. The air was constantly filled with the scents of exotic perfumes and spices. The shelves at the market place were stacked with porcelain and silk from China, tea from the Indian foothills of the Himalayas, rice from Burma, dates from Arabia, carpets from Persia and a host of other merchandise. In the early 16th century, the first Portuguese armadas arrived in Malacca, [and] proceeded in one swift move to conquer the weakened Malaccan Sultanate. The Portuguese ruled Malacca for 131 years (1511 – 1642) before finally conceding defeat to the Dutch, who in turn ruled the Sultanate until the Treaty of London (1824) by which Malacca was given to the British in exchange for the British colony of Bencoolen in Sumatera. 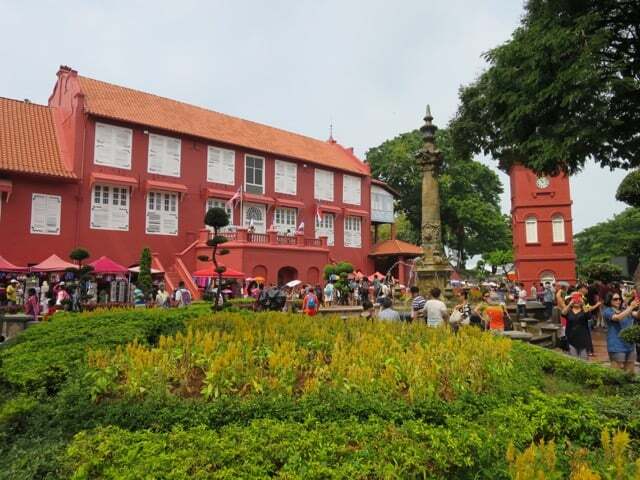 Through the centuries, Melaka became a melting pot of cultures. Immigrants from China, India and the Middle East settled in Melaka and assimilated themselves by adopting local customs. 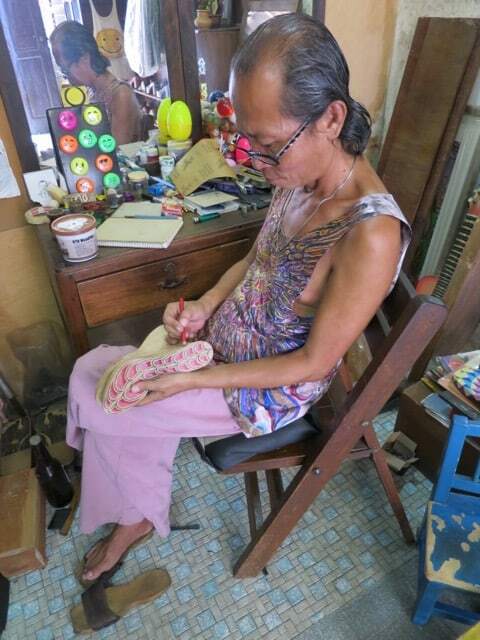 They soon became known as the Baba-Nyonya/Peranakan community. In addition, the mix of European (Portuguese and Dutch) and Asian groups created new ‘Eurasian’ communities. This cosmopolitan landscape exists till today and manifests itself in the local customs, architecture and cuisine in Melaka. During my recent visit, I spent a few days exploring Melaka in search of this unique melting pot of cultures. 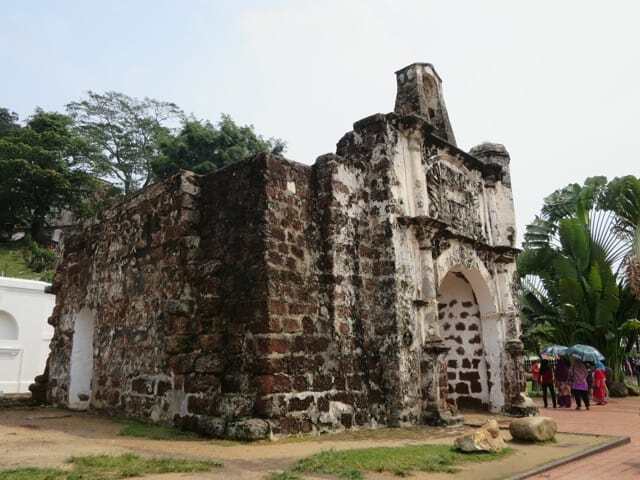 The 16th century Portuguese A Famosa fort in Melaka. The Stadhuys, built by the Dutch in the 18th century. The historic Christ Church, also built by the Dutch in the 18th century. Notice the colourful rickshaws. 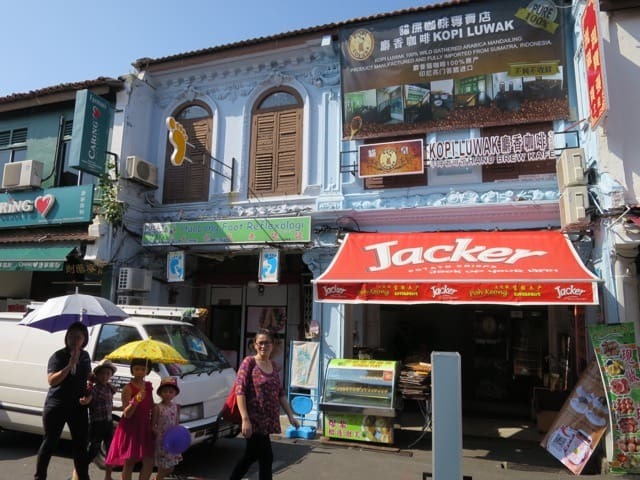 Jonker Street is Melaka’s most popular street for visitors due to its many shops, restaurants and street market. 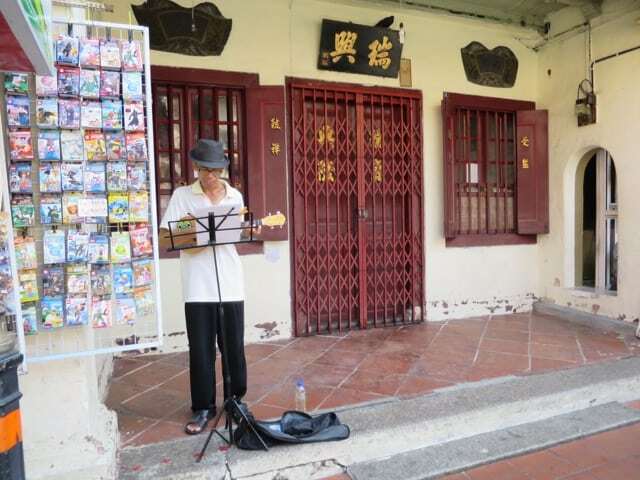 Street artists and musicians perform in the arcades that line Jonker Street. 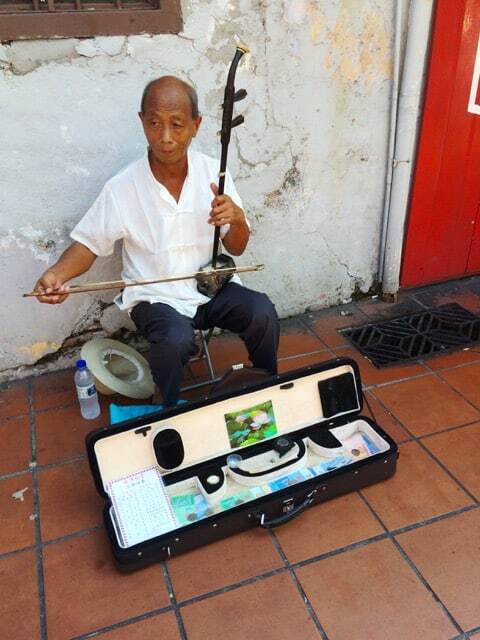 An elderly man playing an erhu, a traditional Chinese two-stringed violin. Loved this colourful shop in Jonker Street. 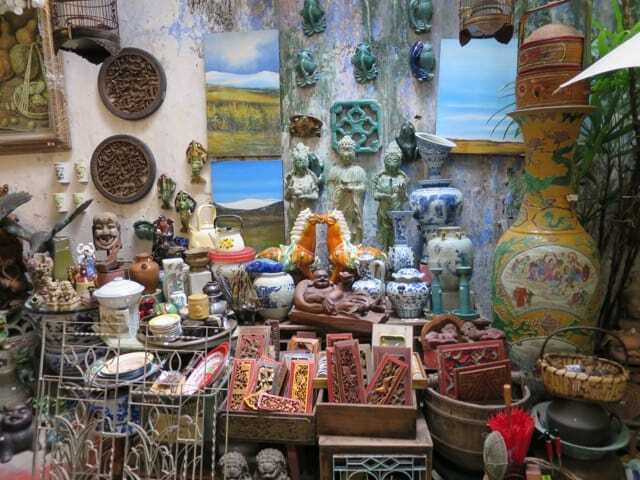 There are also lots of antique shops in Jonker Street. This is one of them. Love the antique porcelain vases. 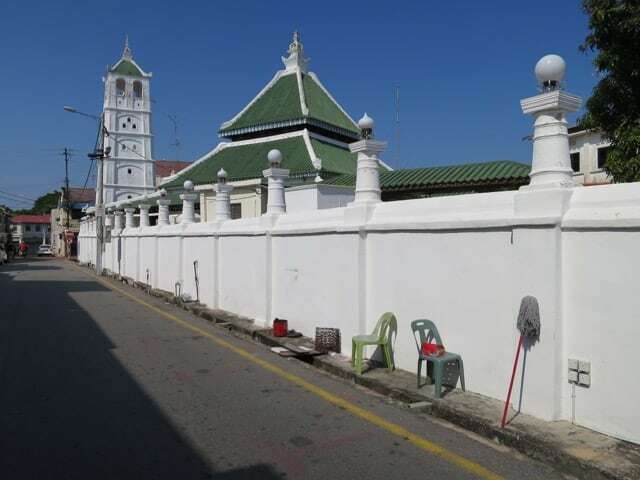 Just off Jonker Street is one of the oldest mosques in Melaka: the Kampung Kling mosque, built in the 18th century by Indian Muslim merchants. And just down the road, you’ll find this beautiful Chinese temple. Running parallel to Jonkers Street is Heeren Street, or ‘Millionaire’s Row’. You’ll soon see the reason for this nickname – the houses and mansions along this street are simply gorgeous. 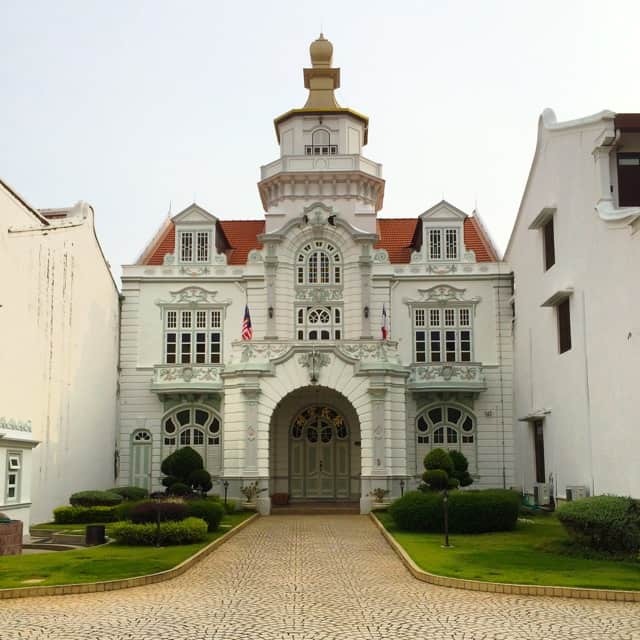 The stunning Chee Mansion can also be found in Heeren Street. Note the mix of architectural styles. 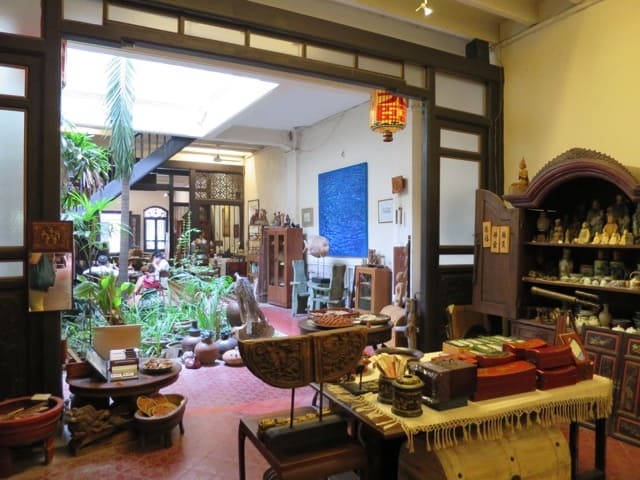 This antique shop in Heeren Street boasts a stunning, typical Peranakan interior. 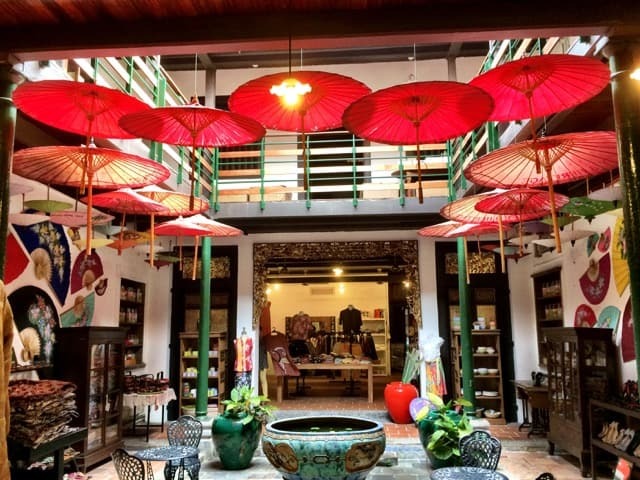 To truly appreciate the Peranakan/Baba-Nyonya culture, I recommend a visit to the Baba Nyonya Heritage Museum. 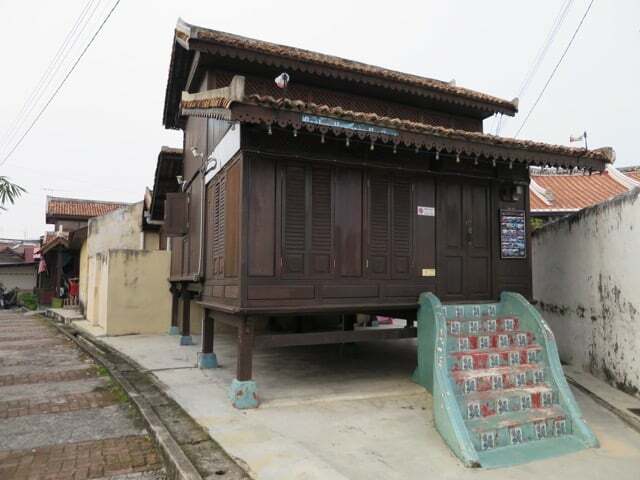 As I strolled around the historic centre, I spotted this cute Malay house with a typical Melaka tiled staircase. Look out for little arts and handicraft shops in the streets connecting Jonkers and Heeren Streets. I found this little shops with an artist at work. 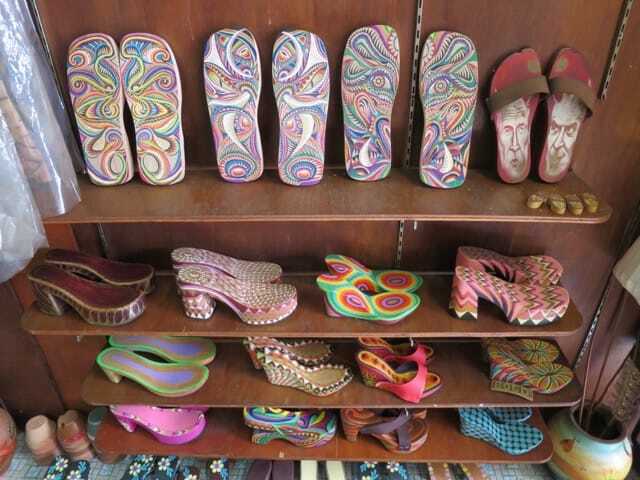 This is what he makes: colourful wooden slippers. And these more contemporary shoes. 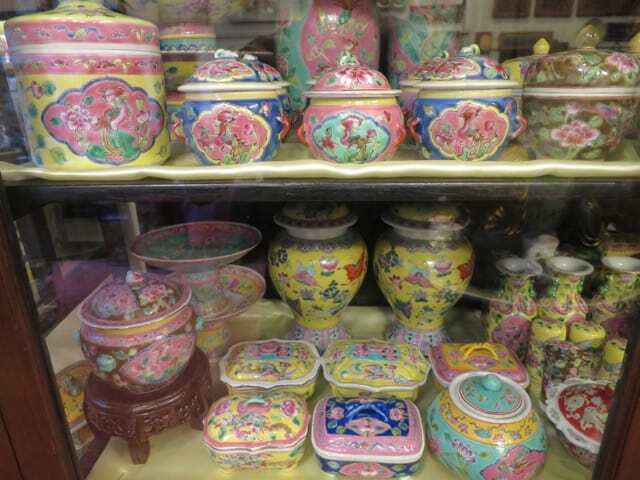 I found another antique shop with more beautiful Nyonya ceramics. 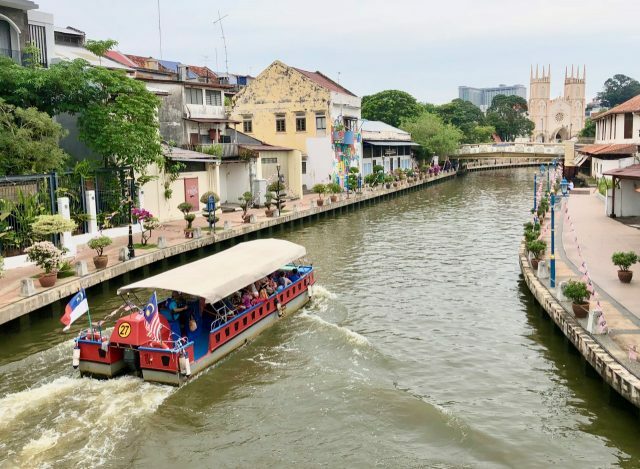 One thing to do in Melaka is stroll along the Malacca River (or go on a leisurely river cruise). 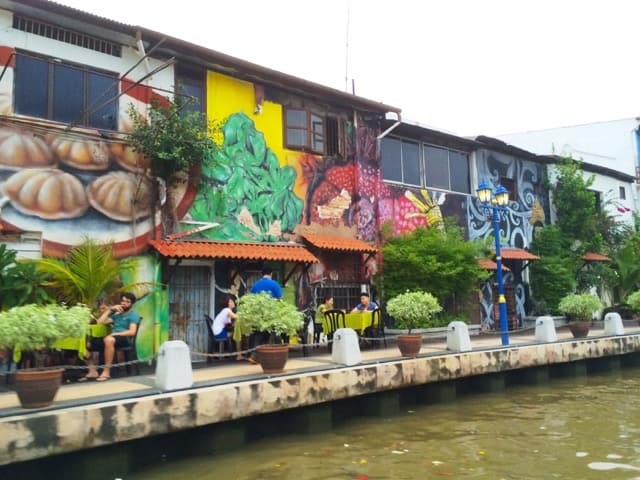 The riverbank is packed with cafes, restaurants and colourful streetart. Loved this row of houses along the Melaka River. 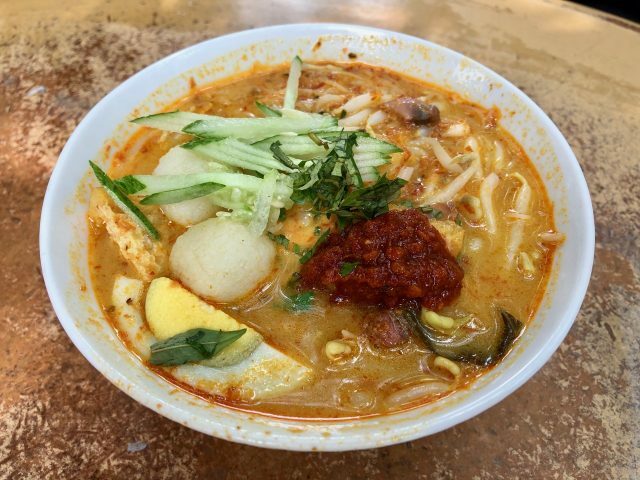 Melaka’s melting pot of cultures is also evident in its cuisine. 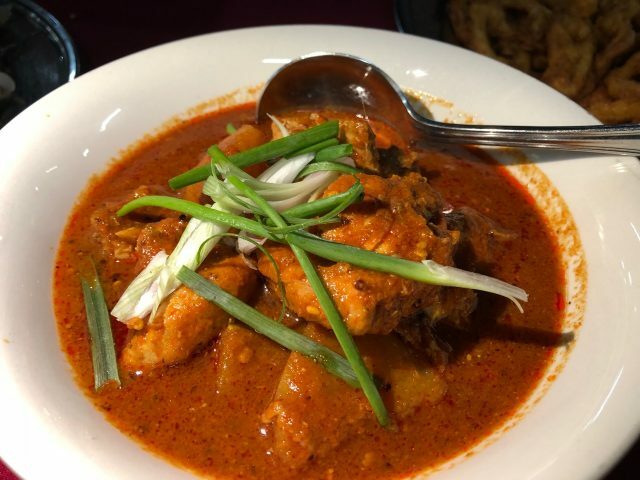 For instance, the Peranakan (Malay-Chinese) cuisine has its origins in Melaka. Portuguese colonists brought their cuisine with them too, which then fused with Malay, Chinese and Indian influences to create a cuisine unique to Melaka. When in Melaka, don’t miss the Portuguese specialties like Devil’s Curry and the famous egg tarts. 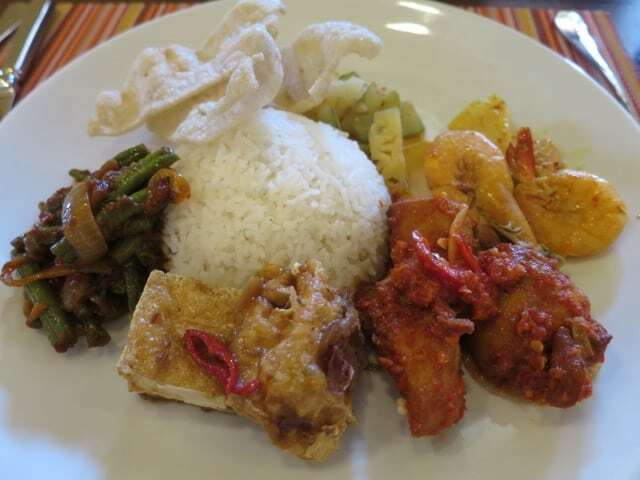 I enjoyed the Nyonya Tiffin lunch at the Casa del Rio Hotel. 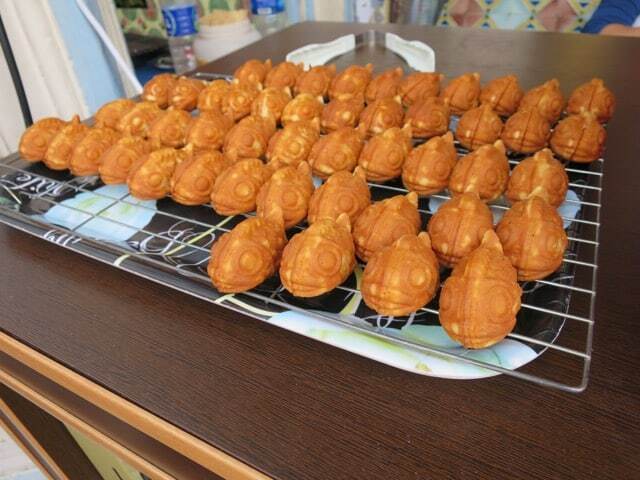 And tried various specialties I found at street stalls such as this sweet ‘fish cake’ filled with custard. 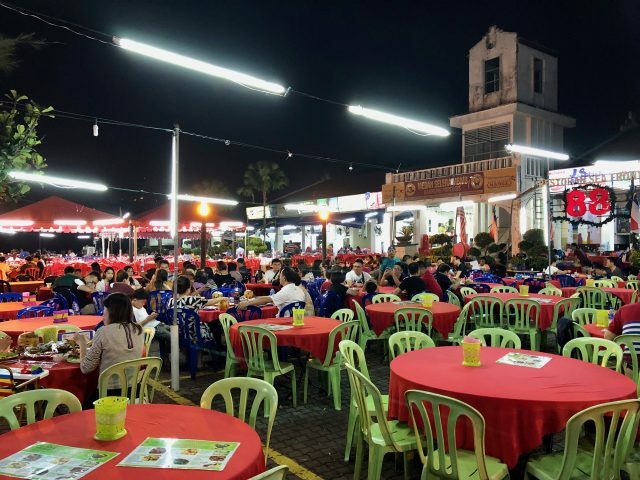 I feasted on various Melaka specialties such as ‘onde-onde’ (glutinous rice flour/pandan balls filled with palm sugar) and sambal (chili paste) dishes such as sambal kangkung (water spinach) and sambal chicken, and asam pedas fish (spicy sour fish curry). And I certainly didn’t miss the satay (BBQ chicken/beef/pork on skewers) as well and the infamous Nyonya Laksa (a curry broth with chicken and prawns)! It’s incredible! 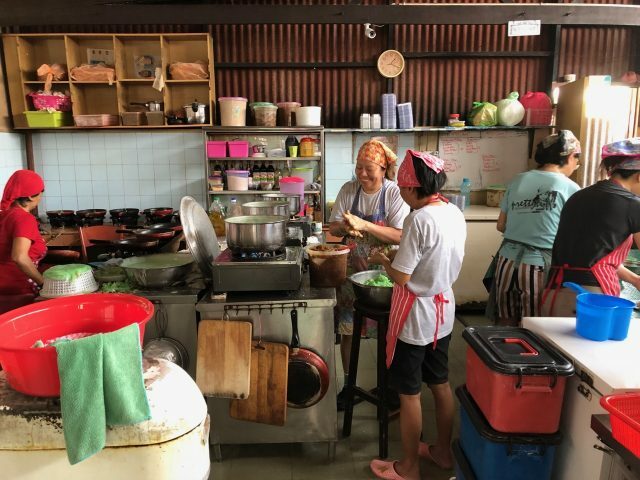 Ladies making onde-onde at Baba Charlie, a foodie paradise in Melaka! 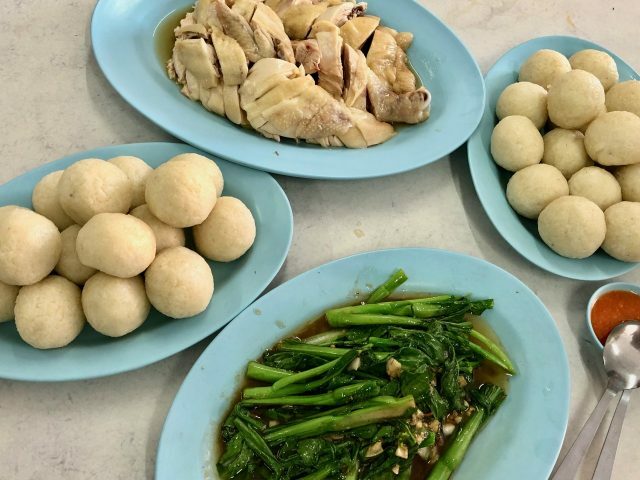 Another yummy meal is chicken rice balls! 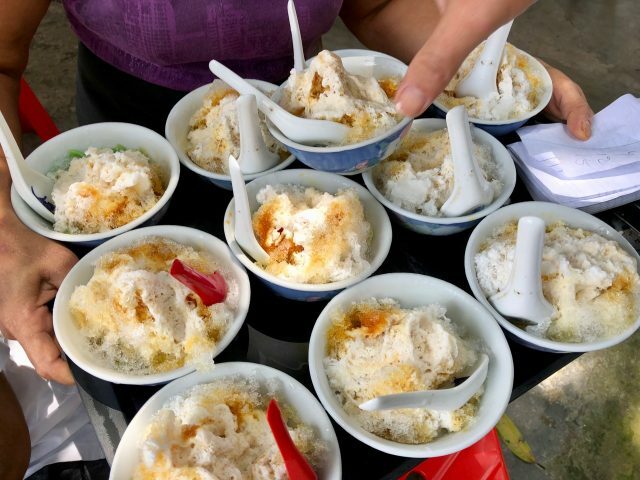 Ice kacang (shaved ice with sweet syrup, fruits and red beans) is a popular dessert. I also visited the Potuguese Village on the outskirts of town and had a terrific dinner there! The open-air food court at the Portuguese Village. 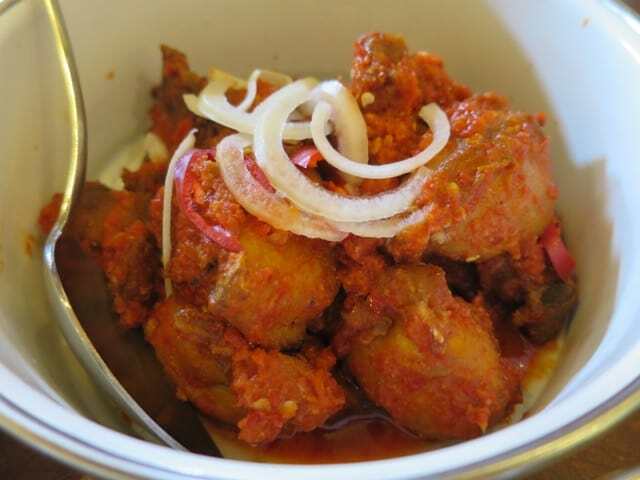 Devil’s curry – a must-try at the Portuguese Village. Scallops laced with a spicy sauce at the Portuguese Village. 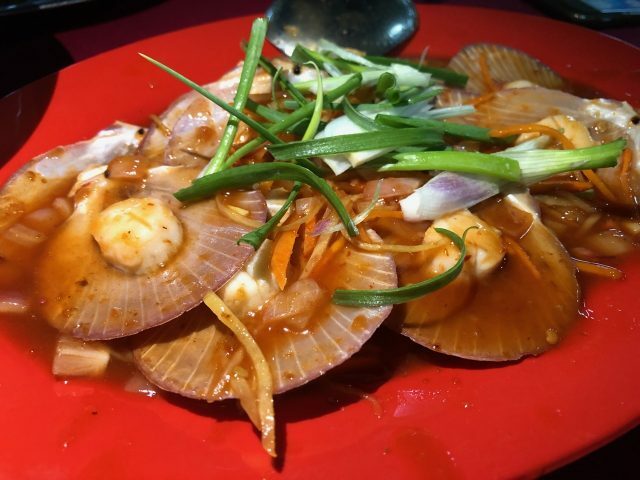 Check out this blog post with food and restaurant recommendations in Malacca. 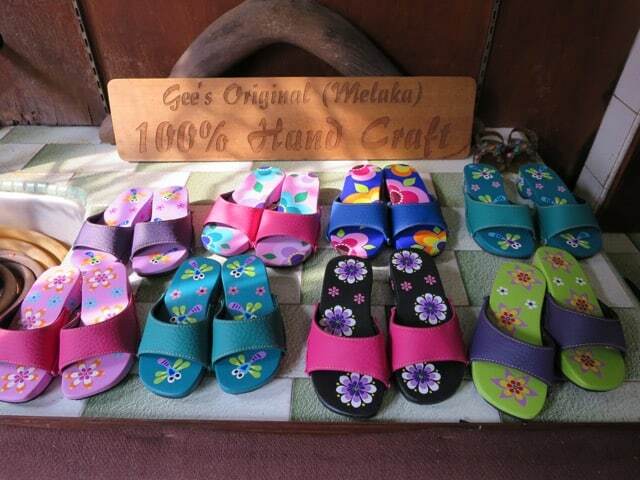 Melaka is a roughly two-hour drive from Kuala Lumpur. You can get there easily by bus or taxi if you don’t have your own car. Search for rental cars in Malaysia. Depending on your nationality, you may need a visa to visit Malaysia. Check the Malaysia visa requirements and apply for an online visa here. I highly recommend staying at the Casa del Rio, with its spacious rooms, riverside setting and excellent location. 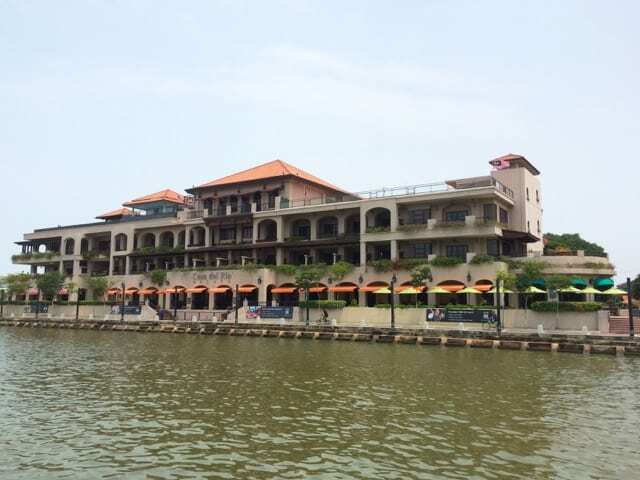 Casa del Rio fronts the Melaka River. 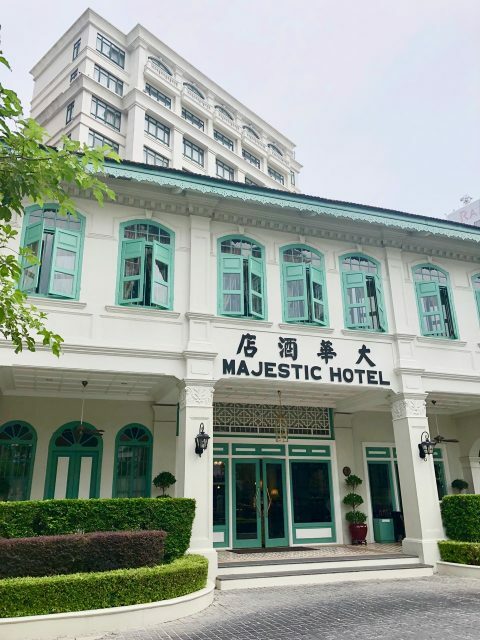 I can also recommend the luxurious Majestic Hotel, the lovely Nest House guesthouse, or one of the boutique hotels housed in beautifully restored historic houses, such as Timez Hotel (links to Booking.com). 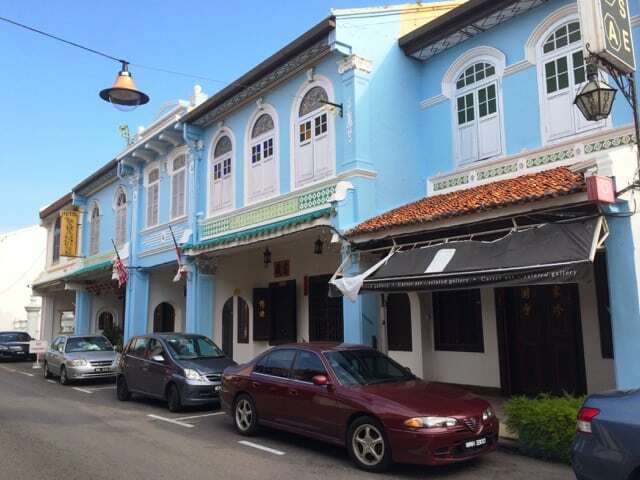 Read about things to do in George Town Penang, Malaysia’s other UNESCO World Heritage listed city. Thanks for your comment. Gosh, my mouth is watering now! Peranakan food is sooo good! Peranakan food is delicious. I don’t think I’ve ever had anything so flavorful. Every dish it seems is just packed with flavor! Looking at your pictures brought back a lot of good memories. 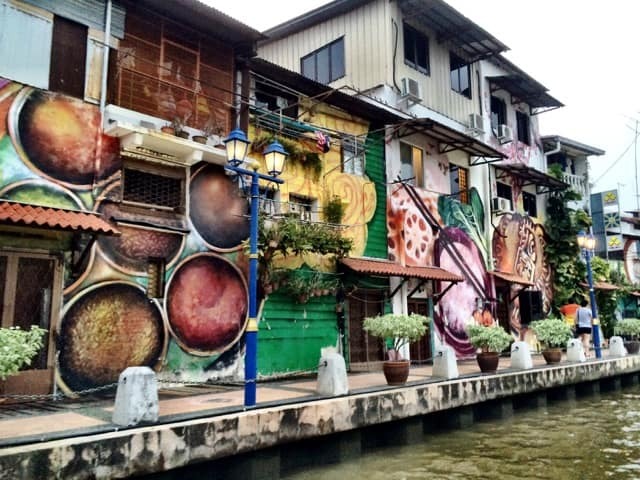 Malacca is one of my favorite cities not just in Malaysia but all of SE Asia for travel and especially food! From food to amazing colonial architecture, Malacca has it all. Enjoyed my visit there several years ago! Malacca is absolutely a highlight in Malaysia. I spent 3 days there and it wasn’t enough. Let me know if you need more tips about Malaysia. Keith, I’m saving this as I may be visiting Malaysia next year and I’ve heard great things about Malacca and the Dutch, Indian and Malaysian architecture – such an intriguing combination!